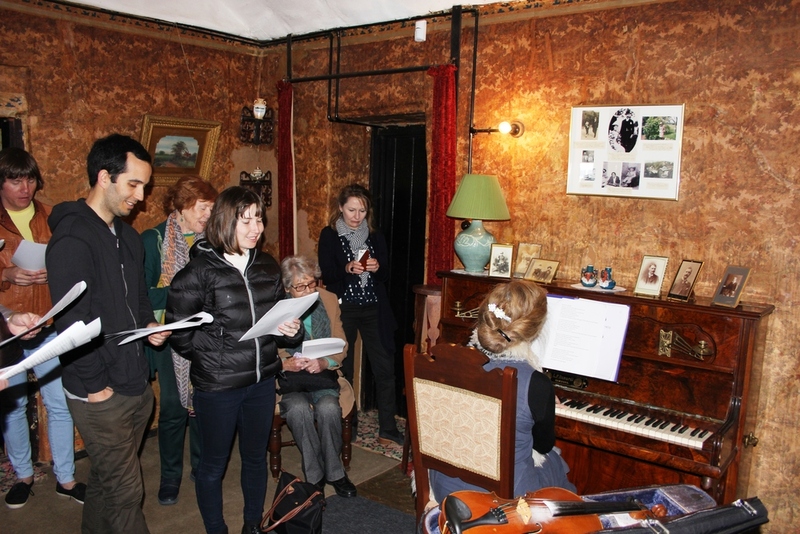 Performing the Past calls on the talents of musicians and composers from different backgrounds to engage with the musical history of two heritage listed homes – an engagement which is different to anything they have embarked on to this date. By performing within the house and in the spaces around it, using the house music collections and the inspiration gleaned from historical documentation – oral histories, letters and diaries – of the past occupants, the musicians will have a unique experience of acting as intermediaries between contemporary audiences and Canberra’s early settlers. The musicians and composers participating in the project are: Ian Blake, Sandra France, Dr Jennifer Gall and Alistair Noble. My composition explores the relationship between time, space, memory and sound through a sonic biography of the Lanyon Broadwood. Pianos are often played in times of deep emotion as a way for the pianist to make sense of what is happening. I like to think that pianos have memories of this kind of music and these memories somehow influence whatever else is played into the future. Rosebank Morning was sketched after a death some years ago and has taken a new shape in conversation with the Lanyon Broadwood. For several decades the Broadwood at Lanyon had been going its own way: preparing its own distinctive soundworld and an individual approach to tuning. Before the piano was spruced up I recorded some of these sounds and improvised a few sonic gestures; and in this piece the rehabilitated piano converses with its wayward former self. A collection of short piano pieces depicting the diversity of experiences from this historic Australian homestead and property. This event is coordinated by Dr Jennifer Gall and supported by the ACT Government through artsACT.